5. It will probably pick up a lot of nominations during awards season. When I look at the biggest films of all time; your Avatars, Jurassic Worlds, Furious 7's and your Star Wars, and I see how much money is spent on them and then how much they make, it actually surprises me that films like this still get made at all. Joy has serious quality in its cast and cost around $60 million to make. Without all the awards buzz surrounding its team of stars and director, I suspect it just wouldn't be seen by anyone. A few J-Law and Silver Linings fans might check it out. But I reckon it would struggle to make $60 million back. It's already picked up two Golden Globe nominations for Best Comedy/Musical and Best Actress, so expect it to get a bucket load more during awards season. If you need to tick off all the major contenders before the Oscars, then make sure you let Joy into your life. This might not be what everyone is desperate to see, but those of us who remember the old De Niro of The Godfather Part 2, Mean Streets, Raging Bull et al will lap up the chance to see a digitally de-aged De Niro in some of Joy's flashback sequences. It's also got quite a cool, tricky chronology in places with some little time hops thrown in to zip back and forth between Joy's past and present. 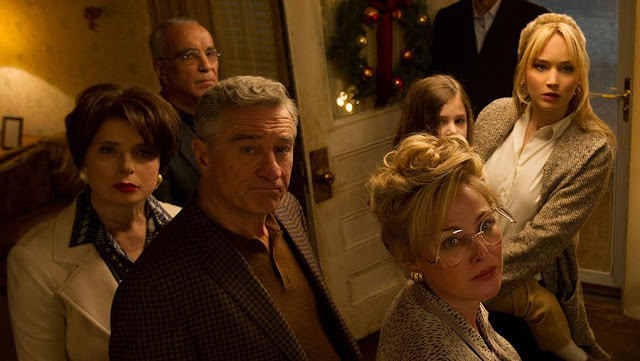 A standout scene has De Niro giving a wedding speech that everybody will be sure to remember for a long time to come. I feel properly spoiled for strong women at the moment; what with Katniss, Furiosa and Rey to name but a few. Joy is a woman stuck in the middle of four generations of women in the same house. Her mother might be a useless TV soap-obsessed sad sack, but her grandmother is an inspiration and Joy herself is the light at the centre of the film. She overcomes a great deal of hardship, is kind and compassionate, creative and caring. The highlight for me comes late in the film when Joy gets to pass on some good fortune to another woman. It's a very touching moment between two women who at one point or another in their lives, just needed to be given a shot by someone. While I'm not a huge fan of Russell, he does make entertaining movies. His camera zips along, the editing is all over the place and the soundtrack rocks with the likes of The Rolling Stones. He always gets great performances and even though the film is about the invention of a mop, the American Dream and family strife, it barrels along at an excellent pace. It could be floppy and cliched, but Russell's screenplay and direction keep things punchy. She's just awesome. 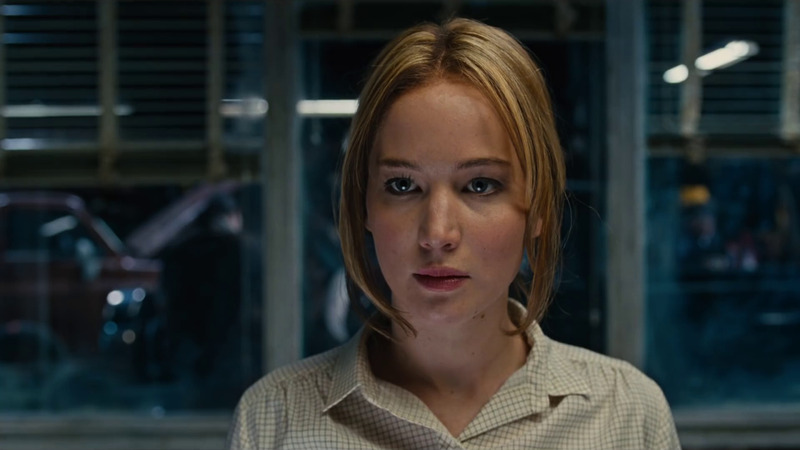 This feels like a really personal film for J-Law right now, what with her recent public pay gap problems. She might be a bit goofy in real life, but her characters are deadly serious, as is her real-world determination to be at the top of her game. Which she is. If you're a fan of J-Law, you'll enjoy seeing her go from struggling single mother with a house full of dependents (including her ex-husband and her divorced mother and father) to ruthless, brilliant business woman. It's a transformation J-Law handles with ease and expertise. Guaranteed a Best Actress Oscar nomination. Think someone needs convincing to watch it? Send them over here!